Three Fairfield County businesses team up once again in an effort to raise money for an important local cause. 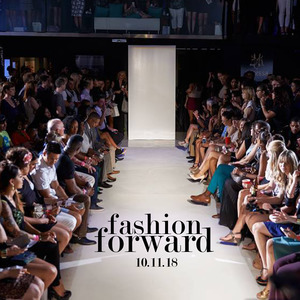 Introducing the second annual “Fashion Forward” fundraiser fashion show event on Thursday, October 11th at 7pm at CronArt USA Gallery in Westport sponsored by Blue Star Bazaar, Melly Bonita of Stella & Dot Independent Stylist and Whip Salon. The fashion show will feature local models with proceeds from ticket sales and raffles benefitting the Kwei Family. Issy Kwei, a 12-year old Wilton resident, was diagnosed in July 2018 with a rare germinoma at the brain stem. She underwent emergency neurosurgery to remove the tumor and is currently receiving chemotherapy treatment. Issy is expected to make a full recovery, however, faces months of medical treatments and rehabilitation therapies to help regain mobility and speech functions. Last year’s Fashion Forward event raised funds to benefit The Testaverde Fund for Spinal Cord Injury in support of Marshal Schoener, brother of Wilton resident, Randi McDonnell. Tickets are $75 (adults only 21 and over) entitles the ticket holder to a fabulous night of fashion including light bites and two beverage tickets. TICKETS AND SPACE ARE LIMITED.